February 22 from 10pm-3am. 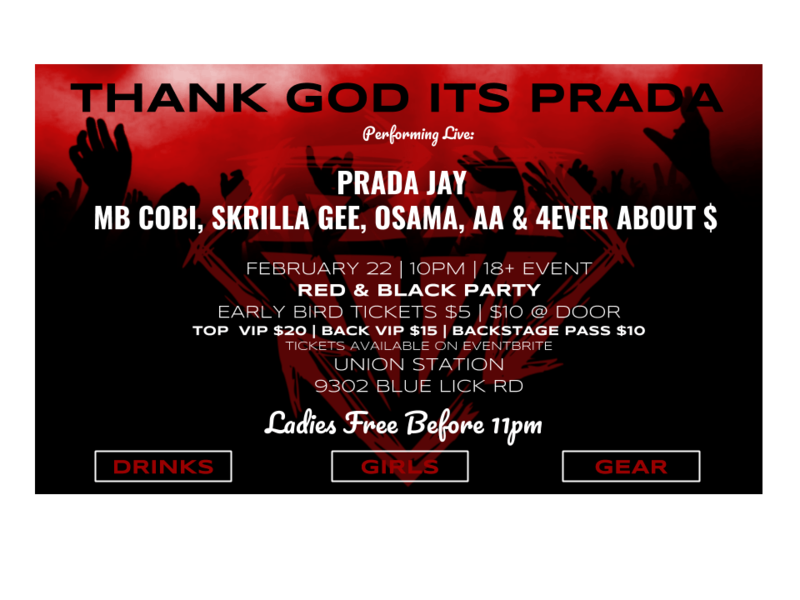 LIVE Performance by Prada Jay, MB Cobi, Skrilla Gee, Osama & AA. Black and Red Attire, FREE Fan Gear Giveaways! Beat them there!